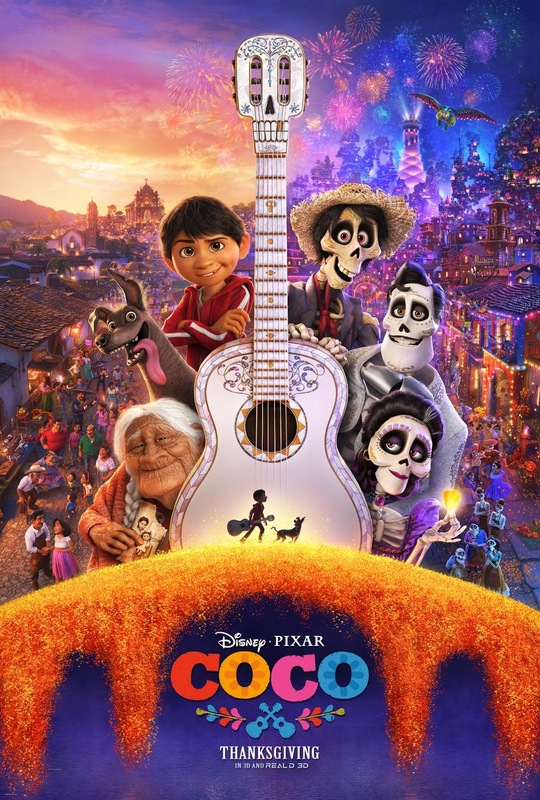 Home / MOVIE TRAILERS AND INFO / Find Your Voice with the New Trailer of Disney-Pixar's "Coco"
Find Your Voice with the New Trailer of Disney-Pixar's "Coco"
Disney and Pixar have released the new trailer for their upcoming animated feature Coco about a young boy who visits the Land of the Dead. Check out the trailer below and watch the film in Philippine cinemas starting November 22 in 3D! Take your first look as well at the film's main's poster art below. Disney-Pixar's Coco is the animated adventure which follows a young aspiring musician and a charming trickster on an extraordinary journey through the Land of the Dead. The film is directed by Lee Unkrich (Toy Story 3), co-directed by Adrian Molina (story artist Monsters University) and produced by Darla K. Anderson (Toy Story 3). Coco is distributed by Walt Disney Studios Philippines. Like us on Facebook, https://www.facebook.com/DisneyPixar, and follow us on Twitter, https://twitter.com/DisneyPixar, and Instagram, https://instagram.com/DisneyPixar.